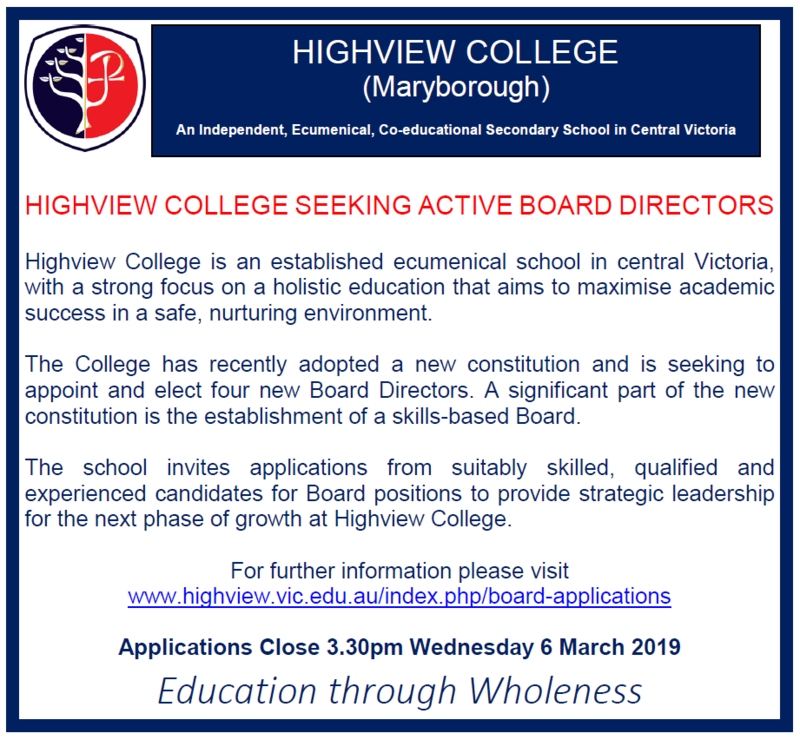 Thank you for your interest in becoming a Board Director of Highview College (registered as ‘Highview Christian Community College’). On this page there is a range of information you may find useful in considering whether to register an Expression of Interest to become a Highview College Board Director. Under its new Constitution, the College is governed by a Board of up to eight (8) Board members who bring a range of expertise. Appointments are for a term of three years, with an option of possible reappointment for two further terms of three years each. The Board meets regularly throughout the year, and members also serve on Board Sub-Committees focused on governance, finance, and OH&S. The College seeks interest particularly from candidates with a background in finance, governance and strategic management. However, with an eye to future strategic and succession planning, it is open to expressions of interest from interested candidates possessing experience and skills in other areas.